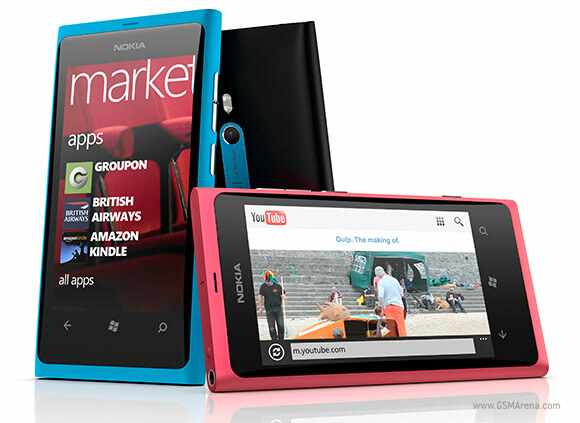 Nokia have announced their first, long-awaited Windows Phone handsets – the Lumia 800 and Lumia 710. Both handsets are running Windows Phone 7.5 (Mango). The Lumia 800 has a uni-body design, which means that it does not have a user-removable battery. Set inside the shell is a gorgeous 3.7-inch AMOLED ClearBlack display ( the term ClearBlack means it has a built-in polarizing filter that helps it look good under bright sunlight). Interestingly, the display is actually curved outward slightly this resulting in a smooth side-to-side swiping motion. Other specs of the phone include 1.4Ghz processor and 16GB of internal memory; however, users will get 25GB of free cloud-based storage courtesy of Microsoft’s SkyDrive service. Nokia has always been known for its excellent cameras, and we’re happy to report that the Lumia 800 does have an 8-megapixel camera with an f/2.2 Carl Zeiss Tessar lens and dual LED flash. It can record 720p HD video at 30fps and the camera app offers a few extra features like red-eye reduction, motion blur reduction, and more. Nokia’s Lumia 710 is a lower-cost sibling to the Lumia 800. It has less flash memory at 8GB but will ship in more colours. 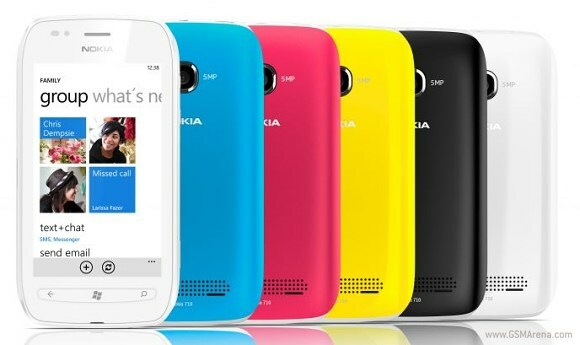 With a 3.7-inch LCD screen which also also employs Nokia’s ClearBlack display technology. While not nearly as stunning as the Lumia 800’s AMOLED display of the same size, it still looks nice and bright and colourful. Itcomes with the same 1.4GHz processor butswaps the 8-megapixel camera for a 5-megapixel version. The camera still supports 720p HD video capture at 30 frames per second. HTC has unveiled two new handsets – the TITAN™ and Radar™ which are both Windows® Phone smartphones. The Titan sports a large 4.7 inch display, which is HTC’s largest phone screen ever, it also has an 8 megapixel rear-facing camera and 1.3 megapixel front facing camera for live video calling. The handset features a super-slim 9.9mm curved body made from a brushed aluminium shell. The Radar makes the most of the Windows Phone software with the People Hub. It keeps you up to date with your contacts’ latest news showing all of your communication history with each person, as well as their recent social network updates and photos. You can also send and receive SMS, Facebook chat and Windows Live® Messenger without having to switch applications. It also features “face-to-face” chat with video calling on the 3.8 inch screen. Both handsets include a dedicated hardware camera button which enables you to capture images without unlocking the phone. The camera features an f/2.2 aperture lens and back-illuminated sensor for improved low-light performance. It also has a 28mm wide-angle lens which features a panoramic setting for landscape and architecture. Both devices can shoot 720p HD videos. The Titan and Radar are expected to be available from October 2011 globally, beginning in Europe and Asia. You are currently browsing the archives for the Windows Phone category.